On the first Tuesday of each month, Jennifer of Dimples & Tangles, Kris of Driven by Decor, Lisa of Shine Your Light, and Pam of Simple Details host a “My Five Favorites” series. 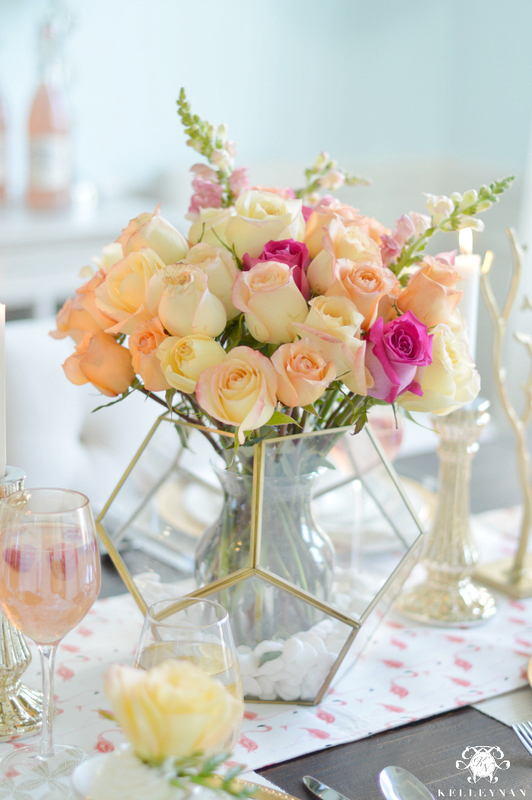 For this month’s theme, favorite tabletop and entertaining accessories, I was beyond thrilled that they asked me to participate as a guest co-host. 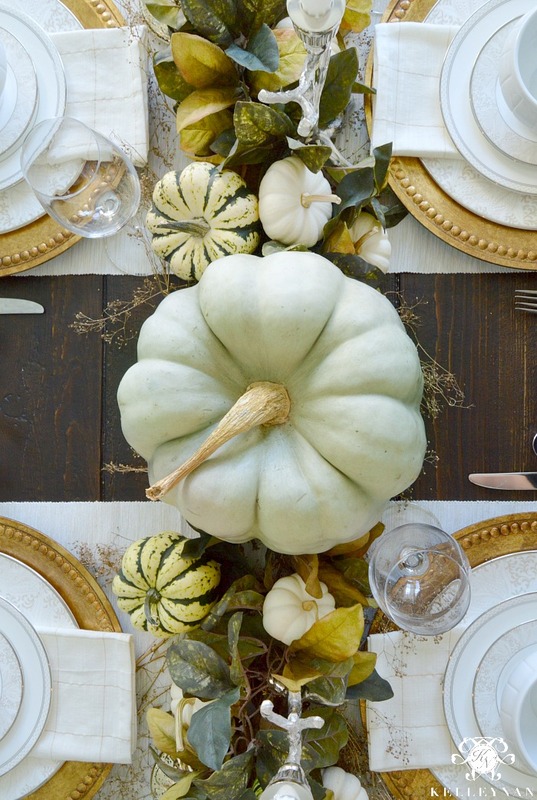 If you are a regular reader, you know tabletops and entertaining are my most favorite things ever as they provide plenty of opportunity to infuse all things “gracious living”. Growing up as a product of my mother and mother’s mother, I watched as they catered to each of their guests and made each gathering an “event”. If you are expecting two guests, prepare for four. It’s always better to have too much than not enough. Take everything out of the package. Take an extra step to even pour condiments into individual bowls; your guests will appreciate the extra special effort. If you are preparing a buffet/food table, stage all of your serving pieces so you know all the pieces you will use and places they will go ahead of time. I firmly believe if you style your food setup, you can make potato chips look fancy. Because I am all about the presentation when hosting, the majority of my kitchen cabinets have been taken over with serving pieces. A LOT of serving pieces. 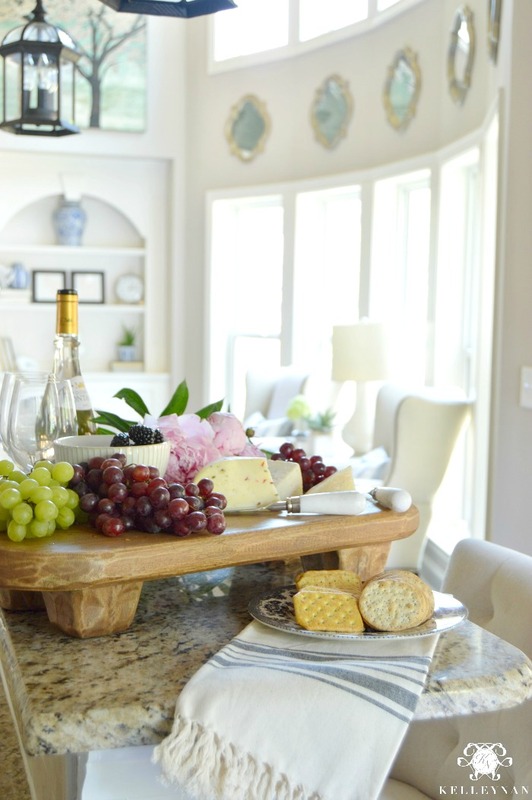 My favorites that have proven to be versatile time and again, both in display and functionality, are my appetizer boards. 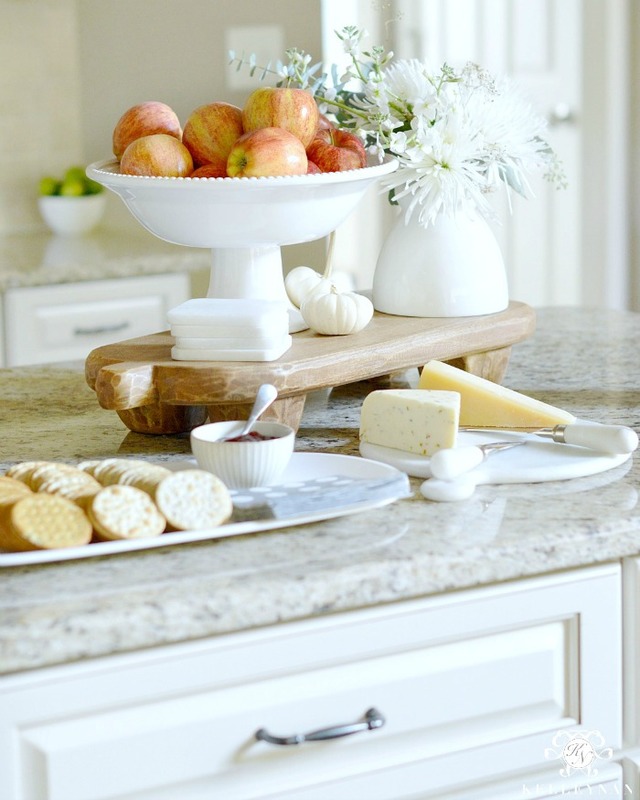 While I don’t keep much on my countertops, this wooden paddle board and this marble cheese board are permanent fixtures AND my go-to’s for serving apps around the kitchen island. You can use them to elevate bowls/plates, or, use them as the direct serving piece. Whether you have a bar cart (HERE), a tray table (HERE), or simply clear a space on your kitchen counter, a dedicated area for serving beverages is practical and fun. 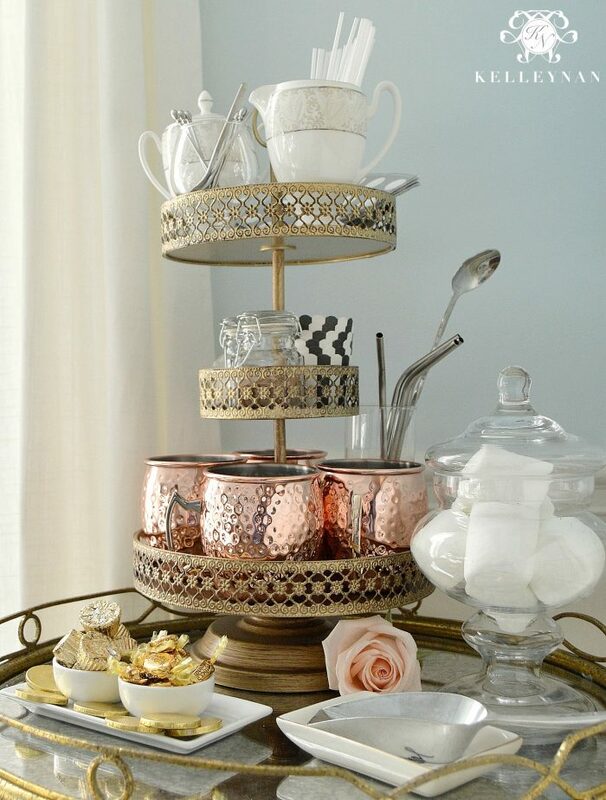 Setting up a little station/bar for your guests is a special touch that will remind them they are being hosted. 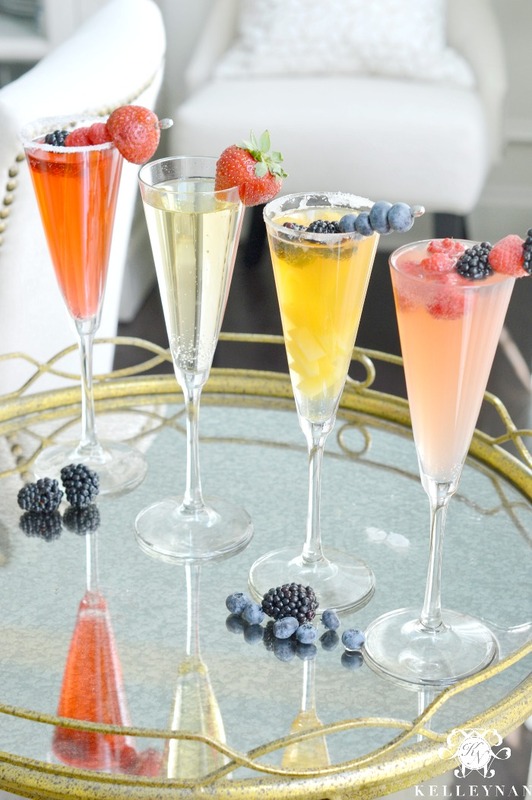 And, who doesn’t like to build their own ultimate, customized drink? 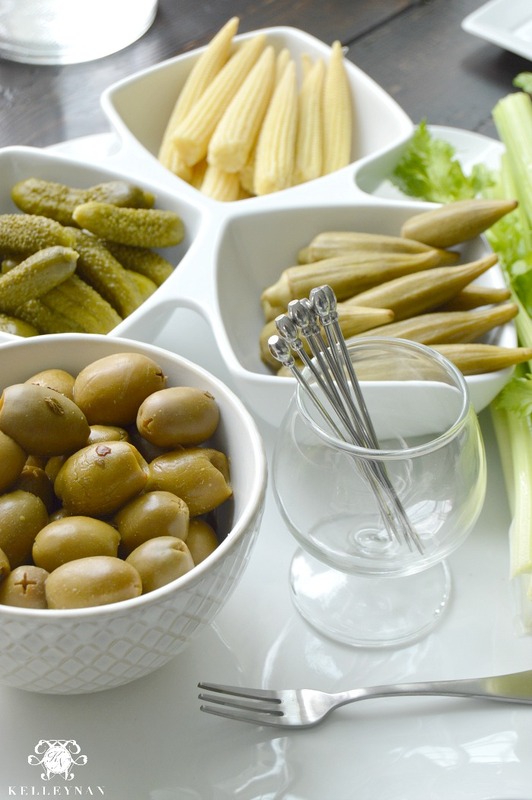 Think of a theme and go nuts with accompaniments. If you only have one set of dishes, make them white. 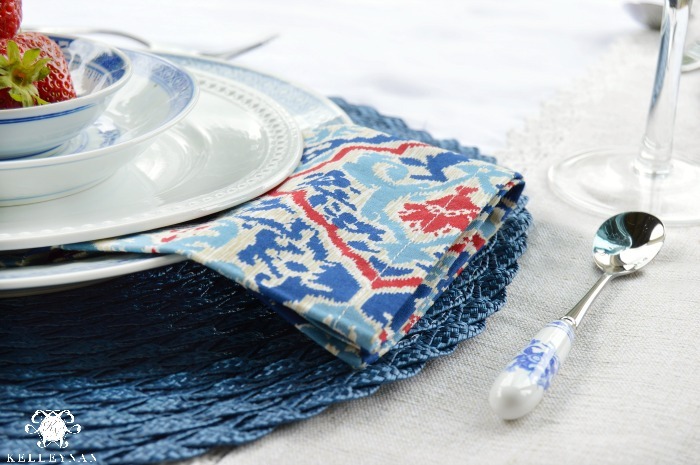 Your napkins can easily do the work of changing up the look of your table with a simple switch-up. 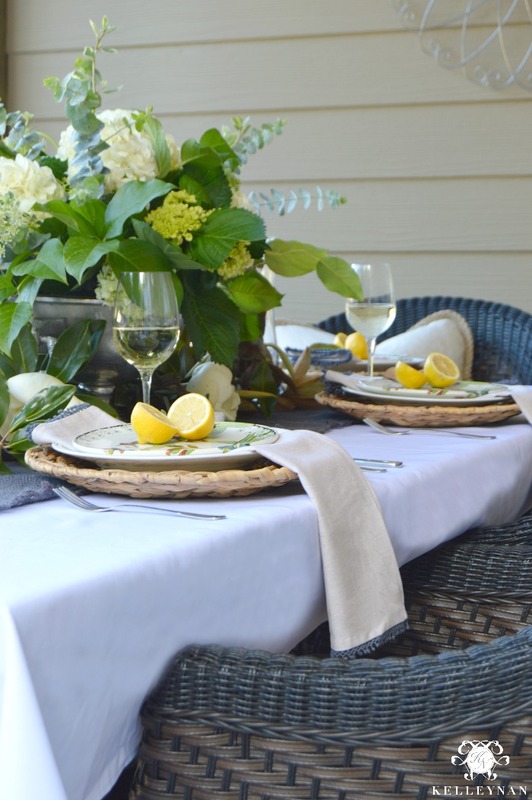 I recent shared a post on the difference one napkin can make (HERE) where I displayed a series of one place setting with the napkin as the only changing element. Some other reasons you need more napkins in your life? You can instantly add a fun pattern without committing to dishes, they are inexpensive, and, they are easy to store. I have about 30 sets and don’t regret a single one. Yes, place cards are practical. But, the reason I love them is because they can dress up even the most casual tables. You can get creative with your place cards (they don’t have to be cards at all), but I typically stick to a simple white card stock with my go-to, Edwardian Script. 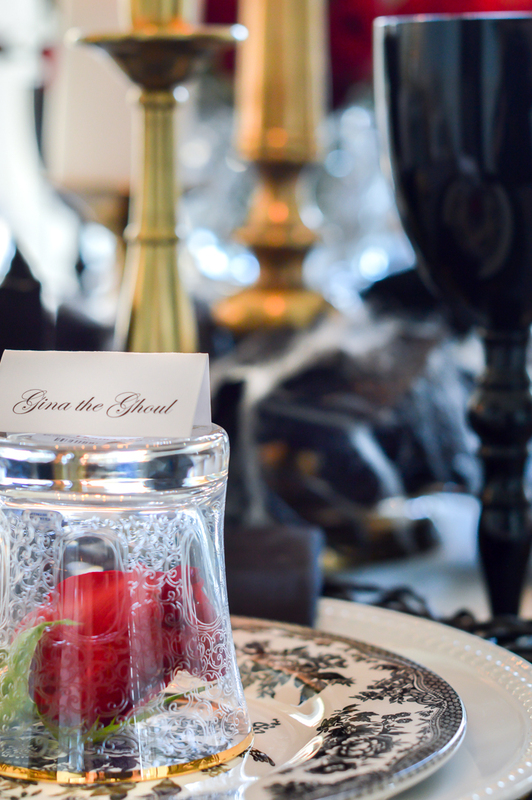 A sneak peek of an upcoming Gothic dinner party. Stay tuned! Sign up below to receive my email updates and don’t miss when this Gothic dinner party for Halloween goes live! 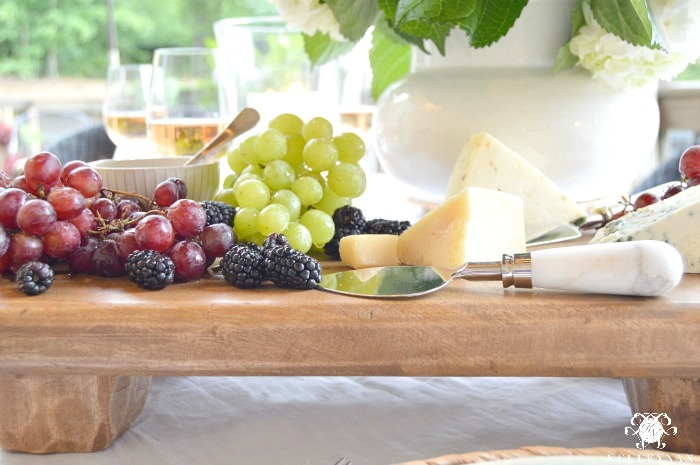 A special thank you to the wonderful hosts who invited me to participate in this month’s Five Favorites; you can check out each of their top tabletop and entertaining accessories by visiting them below. 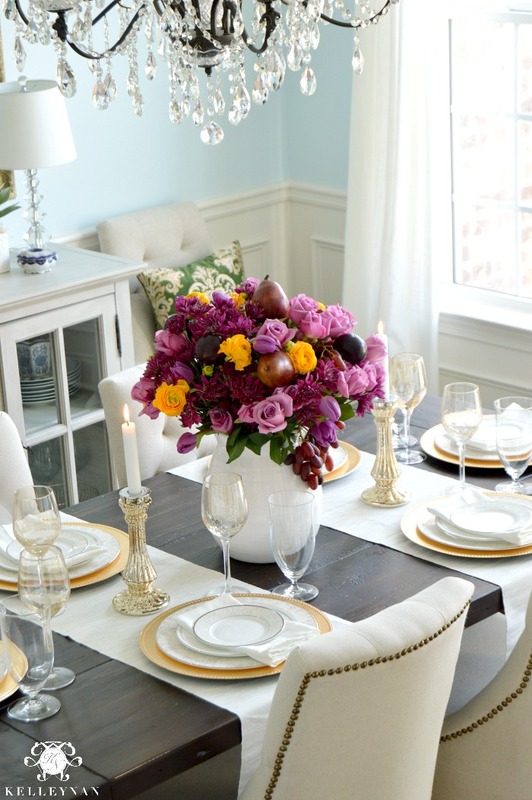 For a full list of my tablescapes, you can visit my table gallery HERE. 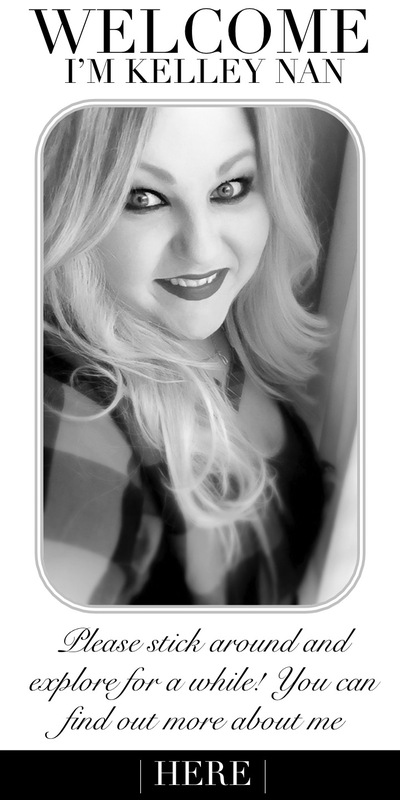 Each of my posts contain full product listings and sources. 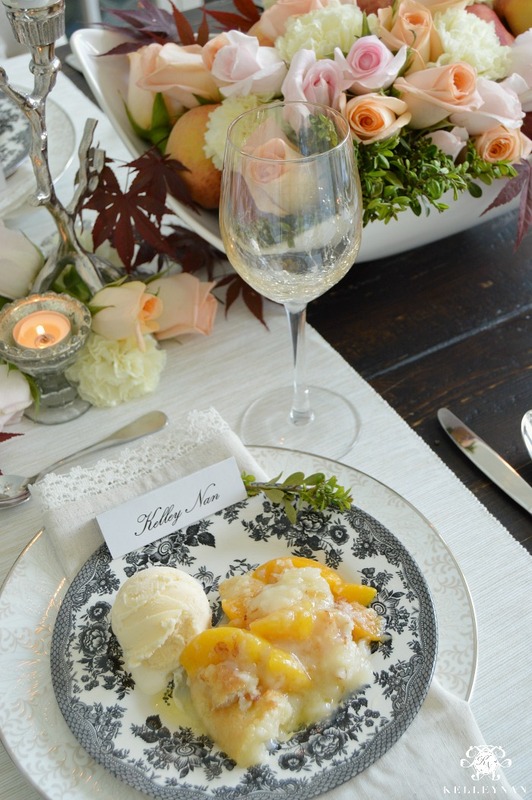 I could just stare and stare all day at your gorgeous tables, Kelley! I recently passed up a footed cutting board like yours at Marshall’s, and I’m REALLY regretting that now! 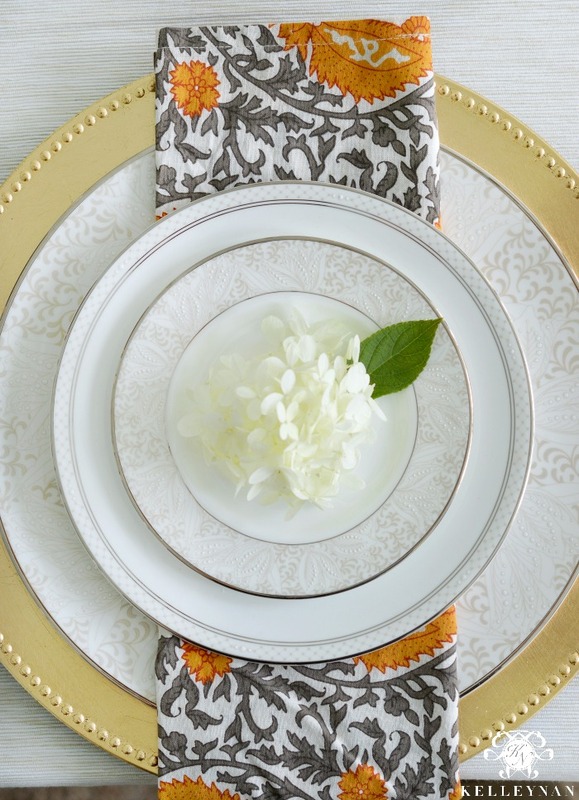 And, love that peek of those black and white toile plates… might need to add those to my collection! 🙂 Thanks so much for hosting with us today and sharing your amazing talent! Kris, I want to do a comprehensive entertaining e-book but I don’t know if I could keep 10 new tables a secret without showing peeks haha. Tables are my absolute fav! I loved doing this with you ladies; thank you again for having me! Holy moly friend, did we choose the right guest!!! 🙂 These are so stunning and elegant, but I can tell you’d put your guests at ease and they’d feel right at home with your southern charm! Thank you so much for joining us and sharing your tips (and beautiful photography, too)! Okay, I need to go back to Home Goods tomorrow and pray that appetizer board I saw is still there!! Love the way you have styled yours. 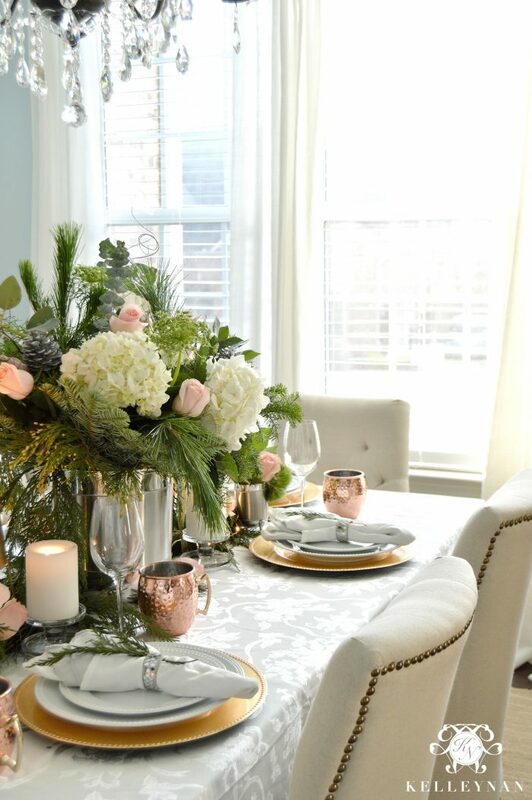 Kelley every single one of your tablescapes is a feast for the eyes! 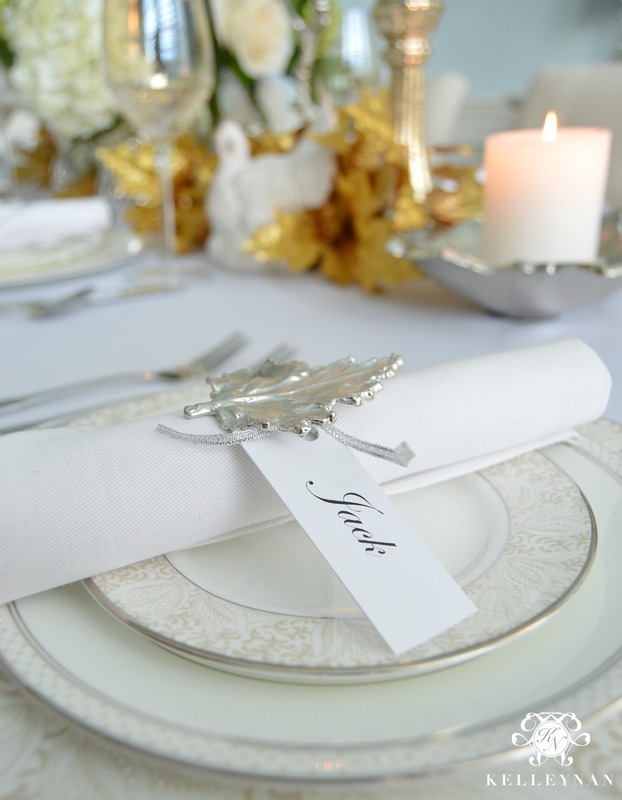 So many beautiful elements, your guests must be so delighted when they sit down! 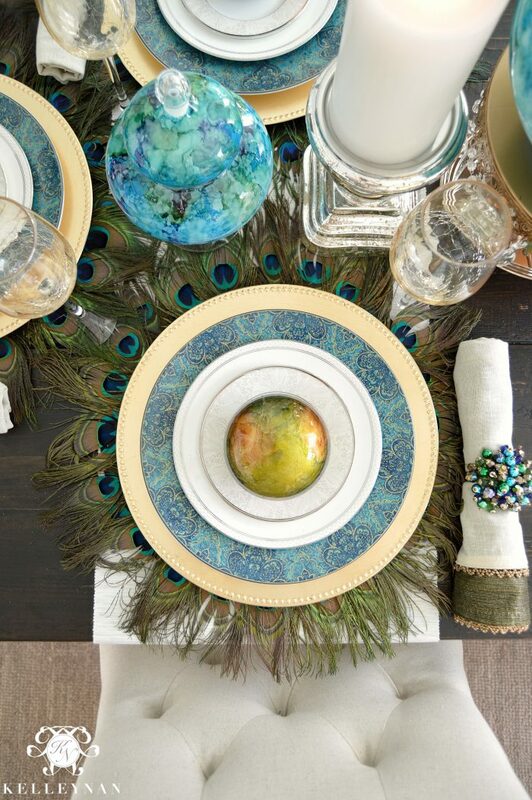 That peacock table is my favorite I think, so unexpected and pretty! You are amazing and I’m so glad you joined us this month! I look forward to your future inspirations, thank you for sharing your creativity! gorgeous, gorgeous, gorgeous! 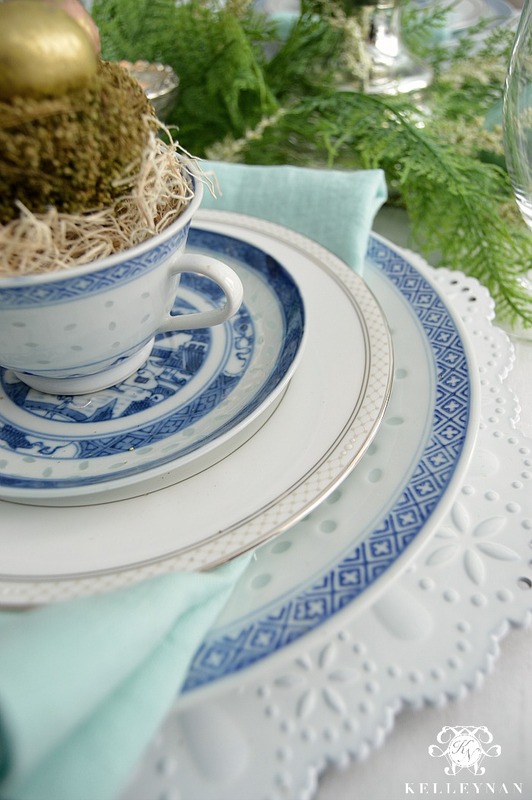 thanks for sharing all your beautiful tablescapes. so inspiring! I am so fortunate to have sat at so many of your tables and to have been “hostess-ed” by you. You are always so gracious and attend to every…single…detail. I especially love that you use certain elements over and over, but one can never tell, since each new look is so unique! These were, indeed, a fabulous five! You got it going on girlfriend.